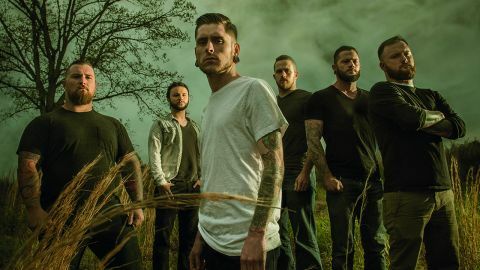 As stale as deathcore has become, it’s been gratifying to watch the way Whitechapel have sought to progress and evolve their music. Six albums in, and Mark Of The Blade finds the Tennessee bruisers still pushing that evolution. Things certainly kick off in high-octane fashion as The Void flies like a cannonball to the face, but as with the likes of Tremors and Tormented attests, there’s a more measured attack at play this time around, the crushing, tech-tinged assault that dominates throughout the album given time to groove as well as pummel. It’s the inclusion of clean vocals that’s unquestionably the most interesting change here, though; moments of Bring Me Home and closer Decennium find Phil Bozeman delivering Cory Taylor-esque clean vocals to great effect among his usual guttural rage. It’s a welcome, well-played-out dynamic that, while hardly groundbreaking, will still be furrowing brows among some of the more blinkered of fans. It’s no small coincidence that Elitist Ones finds Bozeman pre-empting the inevitable haters as he rips into some of the more narrow-minded attitudes before continuing through what’s arguably Whitechapel’s most accessible offering to date.